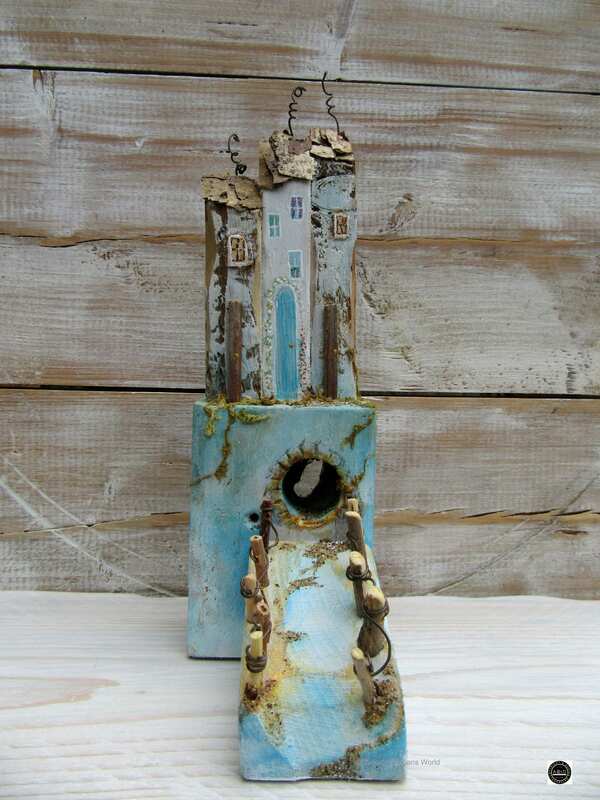 These wooden sculptures have been inspired by the charming coastal cottages of the Wales. My cottages are made to embrace some of the wishes and dreams that we all have. I hope these little cottages capture your wishes and imagination too. 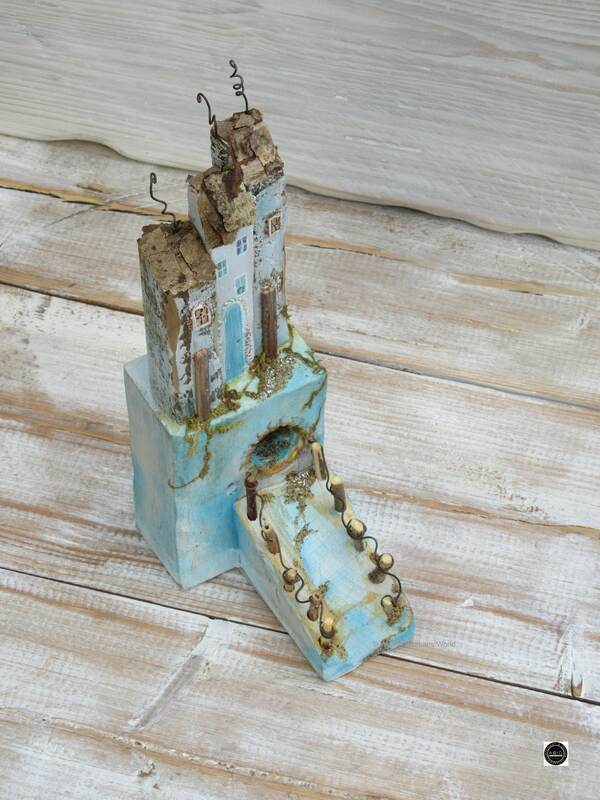 Inspired by blue skies, summer days and the beautiful coastline of Tenby. 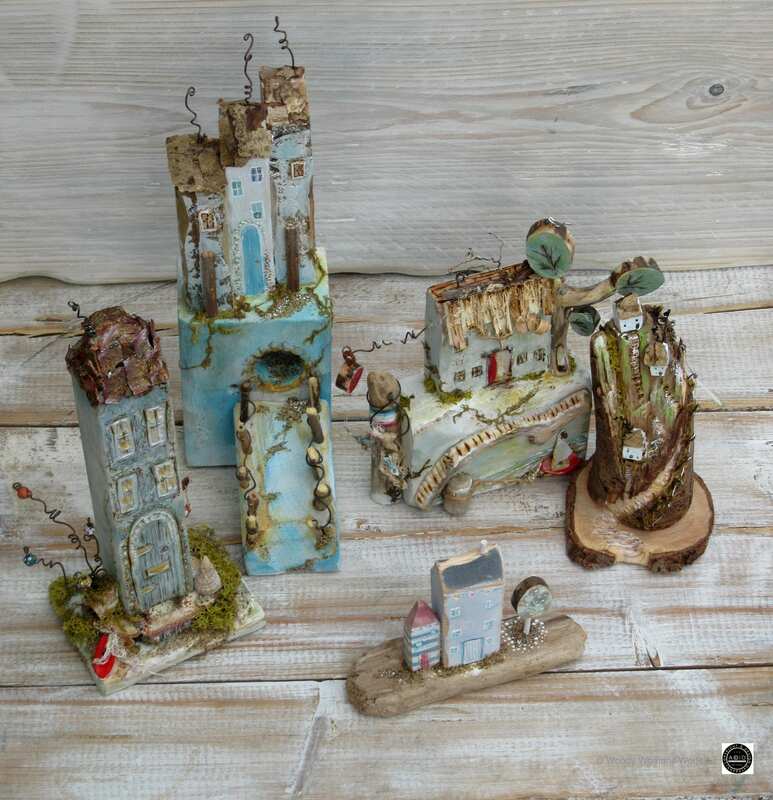 Long top cottage collection has a new house on the block. Tucked between two old charming cottages the new house on the block has a bright blue door, rambling roses and a secret tunnel to the other side. A scene full of seaside charm and delight. 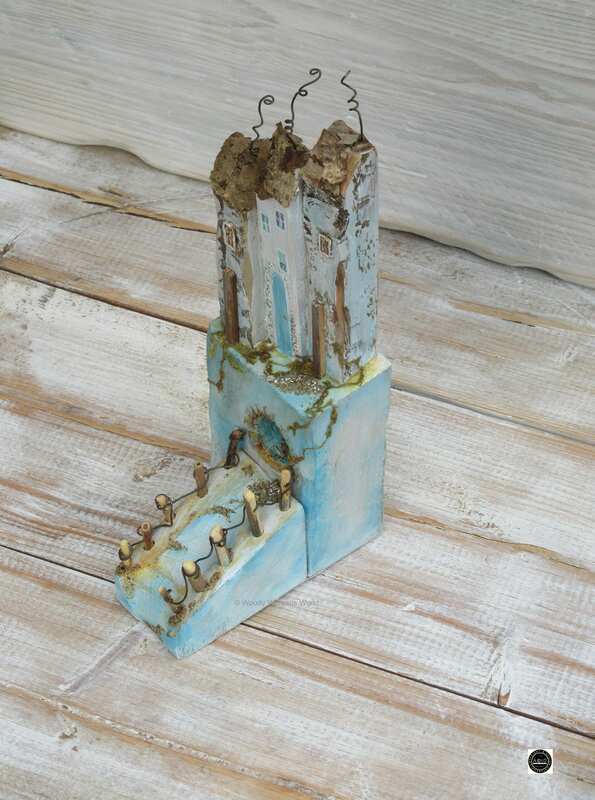 Size of the whole wooden sculpture is 28 cm height from base to the top of the wire cottages 7.5 cm in width, and 12.5 cm in depth. 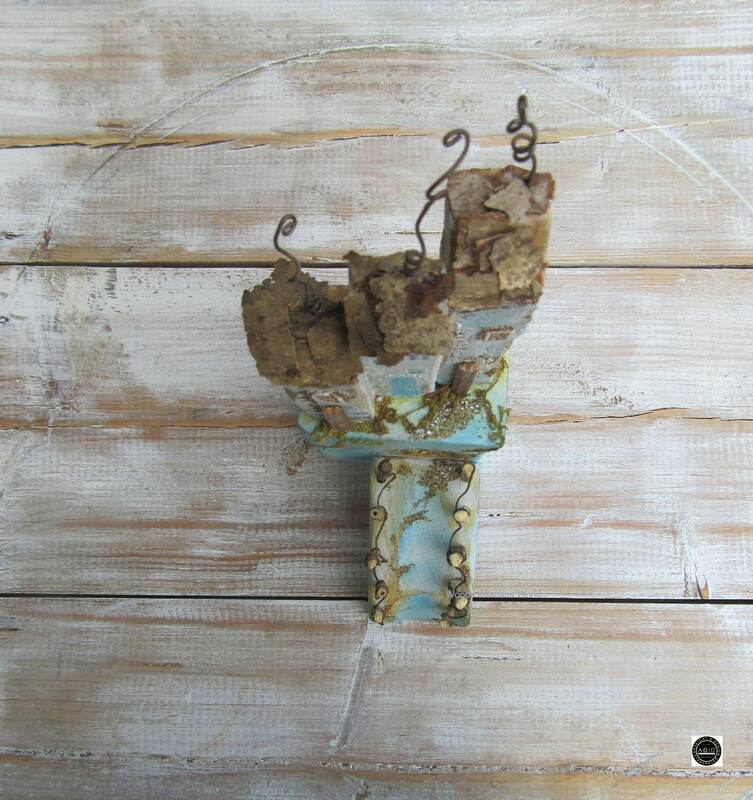 Made entirely by hand from recycled wood and driftwood along with beach combed findings, natural moss and hand painted in gorgeous shades of blue, all materials are sourced here in Wales. Hand made in Wales with love and a sprinkling of magic. Your sculpture will be beautifully wrapped and packed for it's journey to you or for someone special to enjoy. Sent on a 2nd Signed for Delivery for a safe journey and will need to be signed for on its arrival.